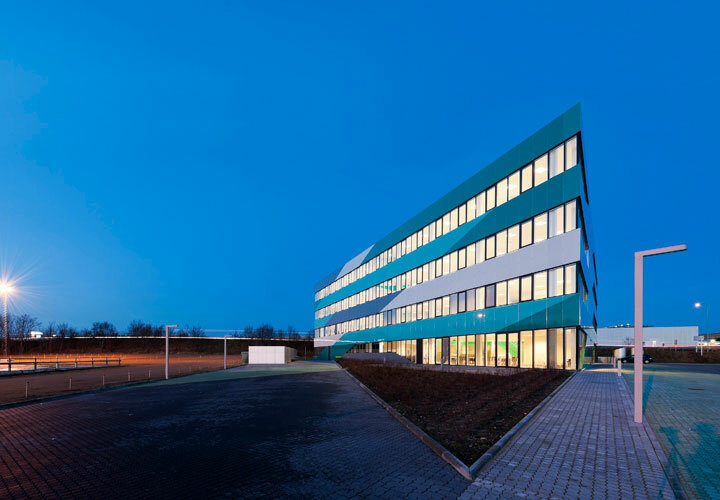 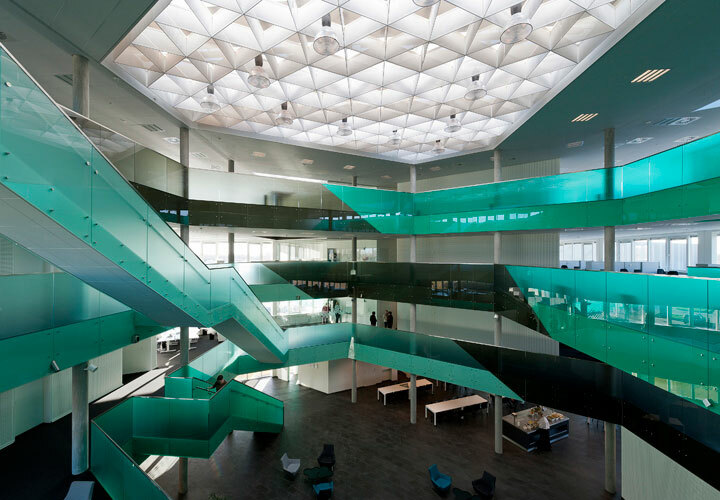 The new domicile for public authority Udbetaling Danmark (UDK) in Holstebro manages a series of vital social services, such as state pension and maternity pay, for the entire region of Midwestern Denmark. 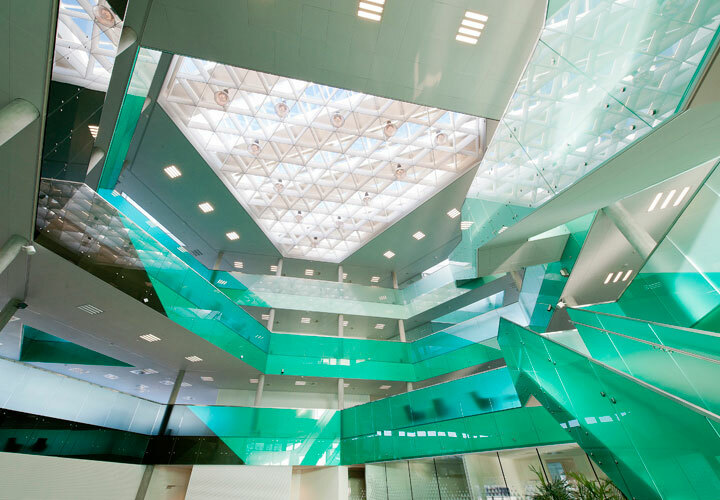 The building gathers employees from several municipalities in one new administration building, which has to handle and ensure a centralized and efficient service for the citizens. 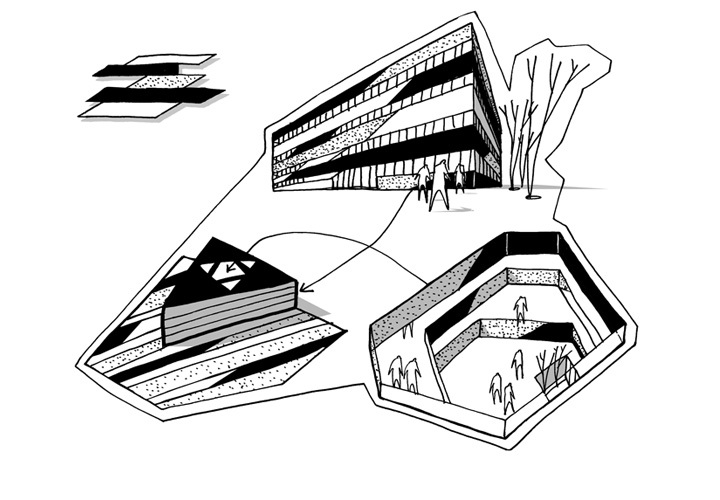 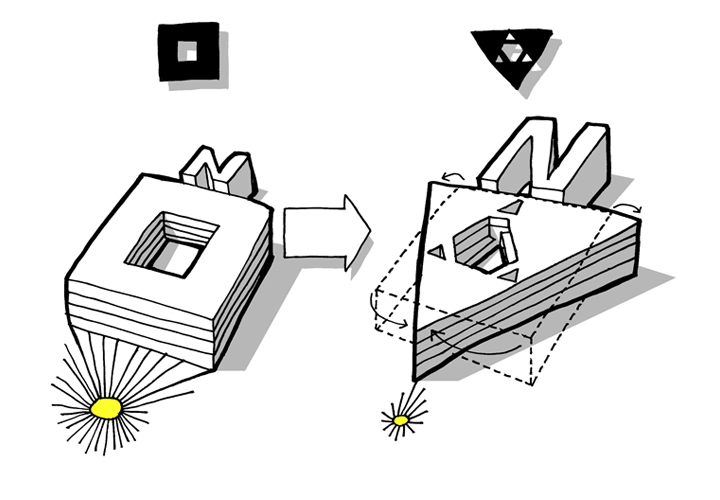 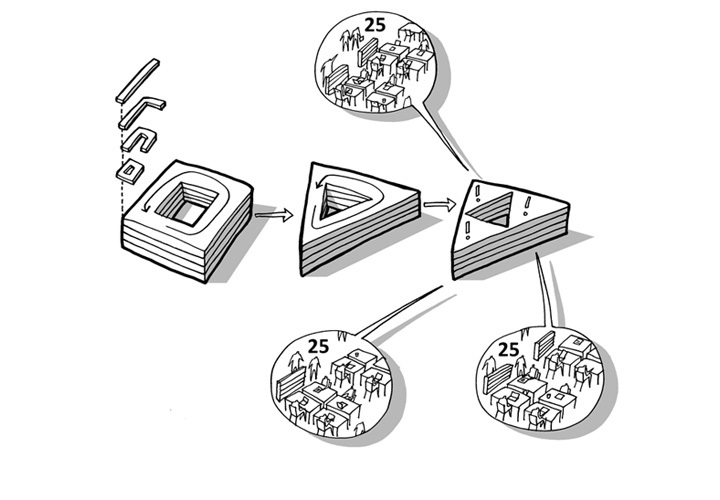 In order to create an ideal combination of exposure, building expression, views, daylight conditions and reduced thermal stress, the design uses a clear architectonic concept – a simple yet recognizable triangular construction with manifold and functional spatial formations that developed out of a conscious use of the triangle as shaping element. 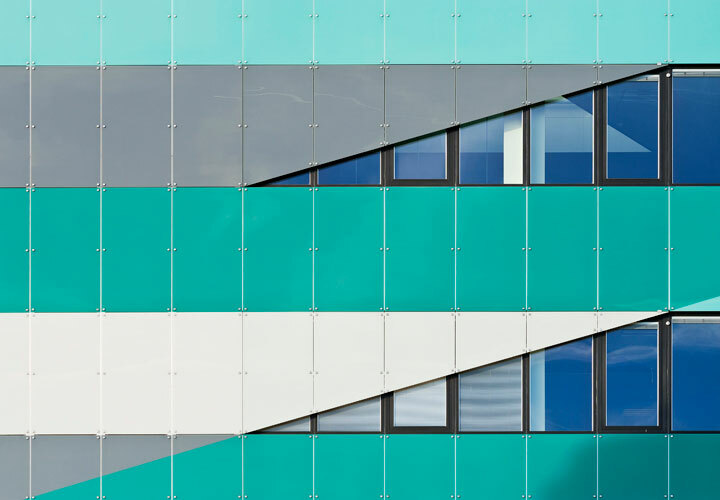 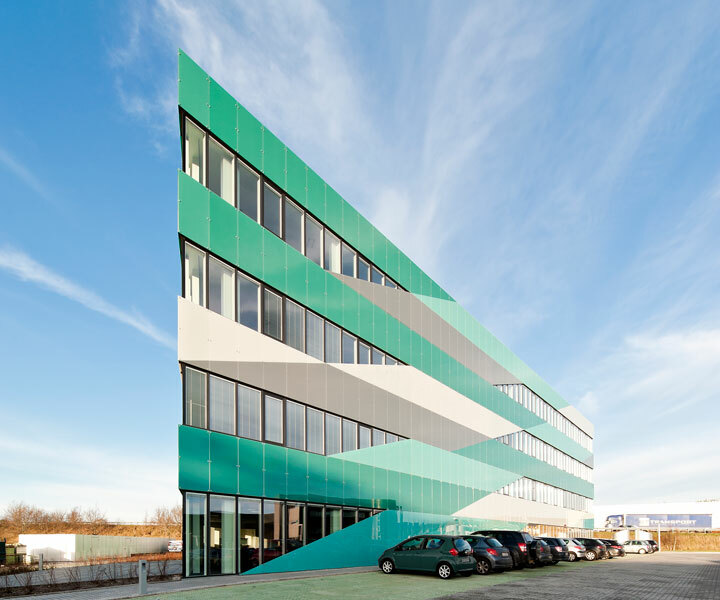 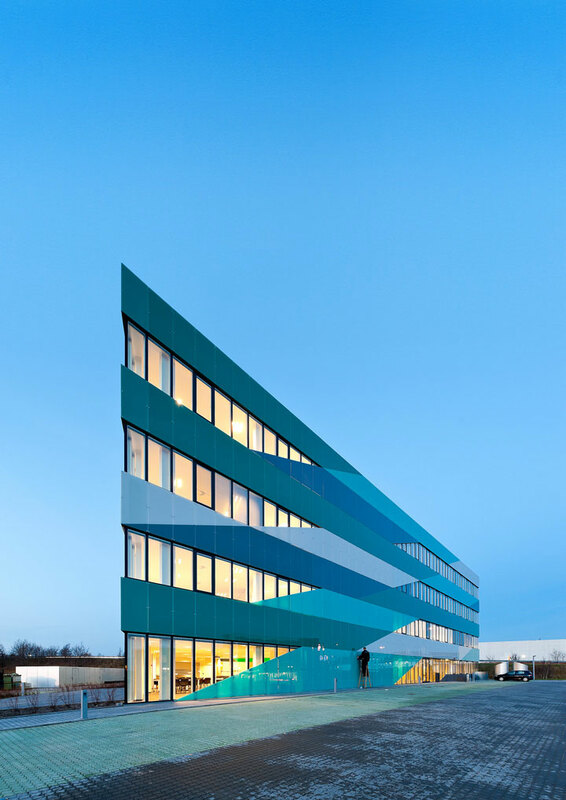 The triangle is an unusual shape in the Danish architectural landscape and thus, UDK will draw attention to itself, but without visually overpowering its surroundings. 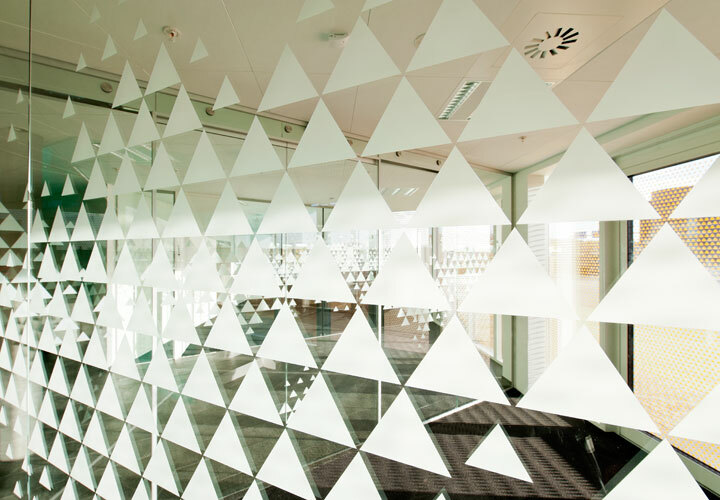 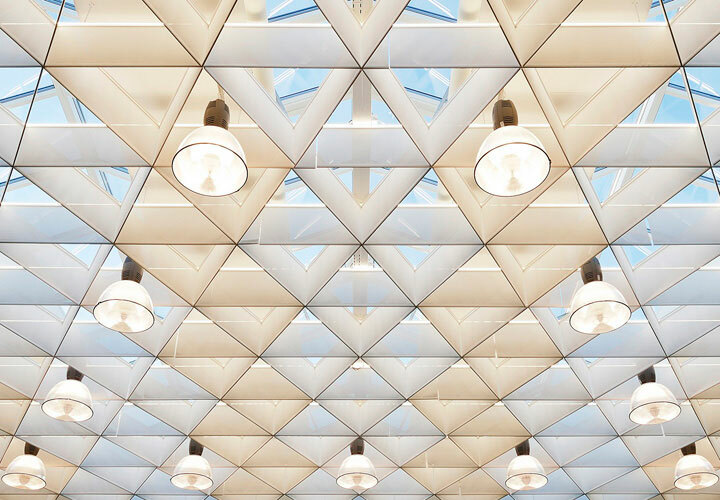 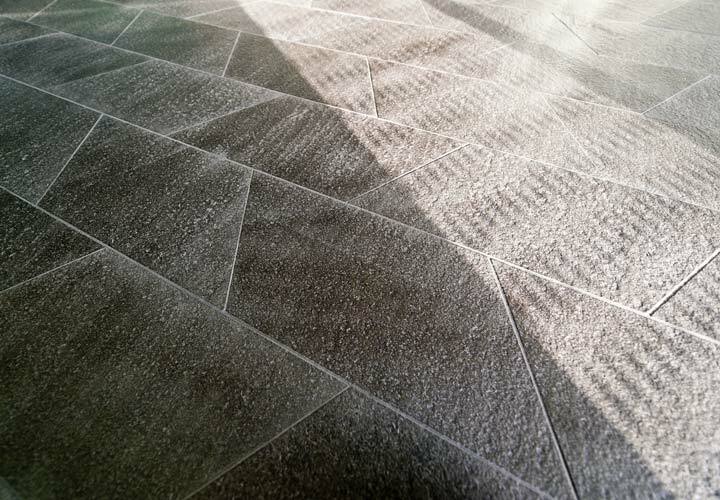 Throughout the interior the basic shape of the triangle creates a recognizable pattern that is applied consistently and in varying scales in order to extract valuable spatial qualities and functional subdivisions. 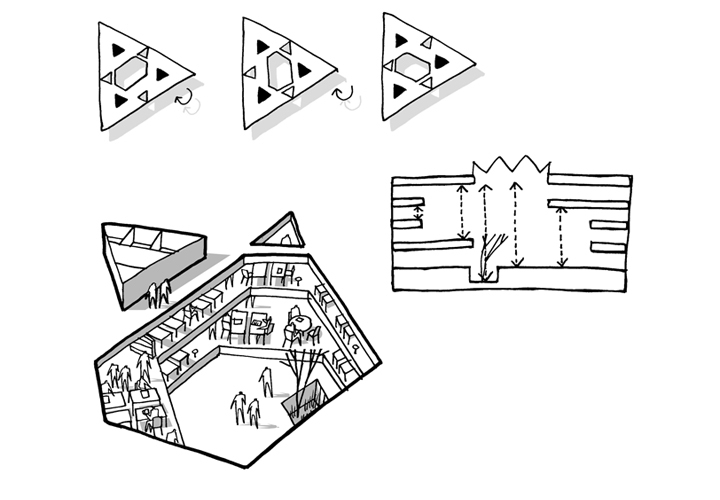 In order to divide the building into subsections, a triangular interior atrium is inserted. 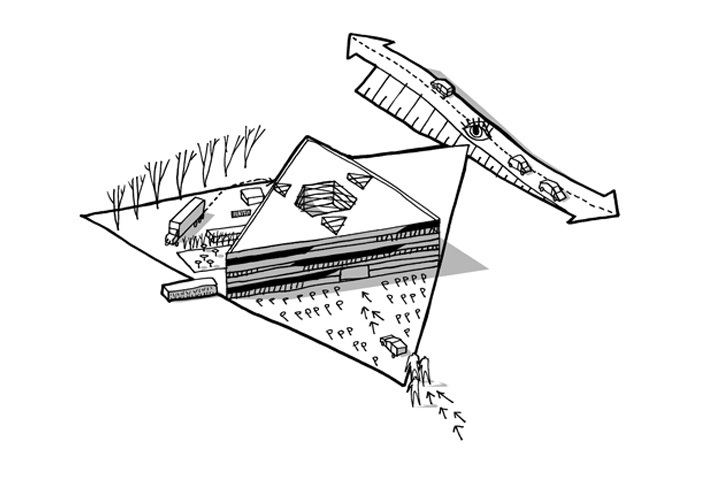 The atrium is rotated 180° so that its tips meet the building’s outer edges. 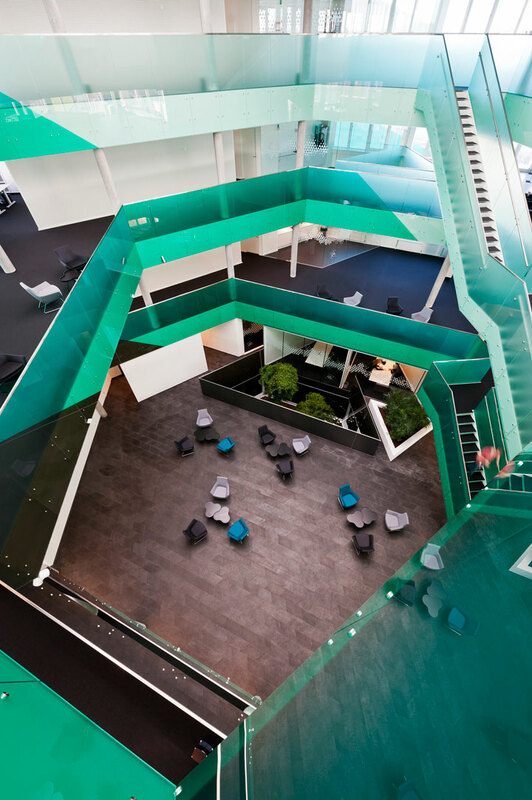 Given its direct contact to the facades the atrium’s shape and orientation allow a large amount of daylight to reach the building centre. 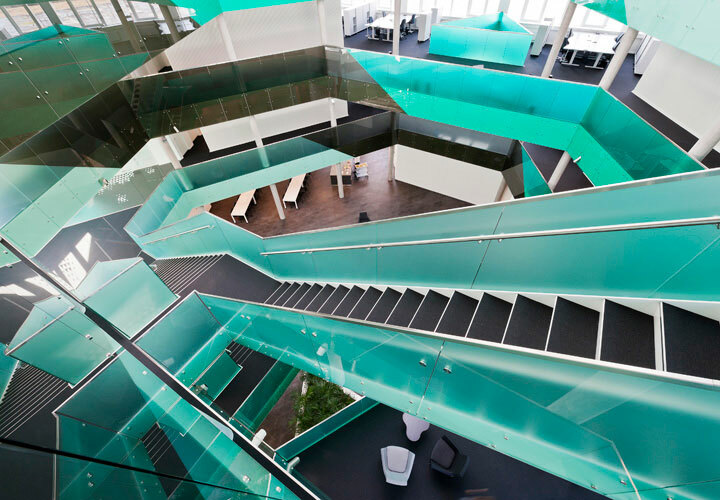 In addition, the central space is slightly asymmetric and rotates for each floor, thus creating varied spaces with different floor-to-ceiling heights, which makes the building flexible and usable in a long range of different working situations.